How would you envision living The Good Life®? For me, it’s a good hotpot meal. There’s just something about a rich and flavourful simmering broth, thinly sliced meat, vegetables and fresh seafood as you enjoy a hearty dinner with friends and family. What’s more, now you get to enjoy up to 50% off your meal – that’s the good life. Enjoying additional savings doesn’t get as easy as this: Browse through Eatigo and select a time-based discount ranging from 10% to 50% off. When making your reservation, be sure to key in the first six digits of your Standard Chartered Credit Card under ‘Promo Code’ and a S$5 Eatigo Cash Voucher will be applied to your booking. Go for your meal, have a good time, and pay with your Standard Chartered Credit Card to enjoy the additional deduction of S$5 off your dining bill. It’s as simple as that! To help you along, here are 6 sizzling hotpot dining offers you can enjoy when you reserve with Eatigo. 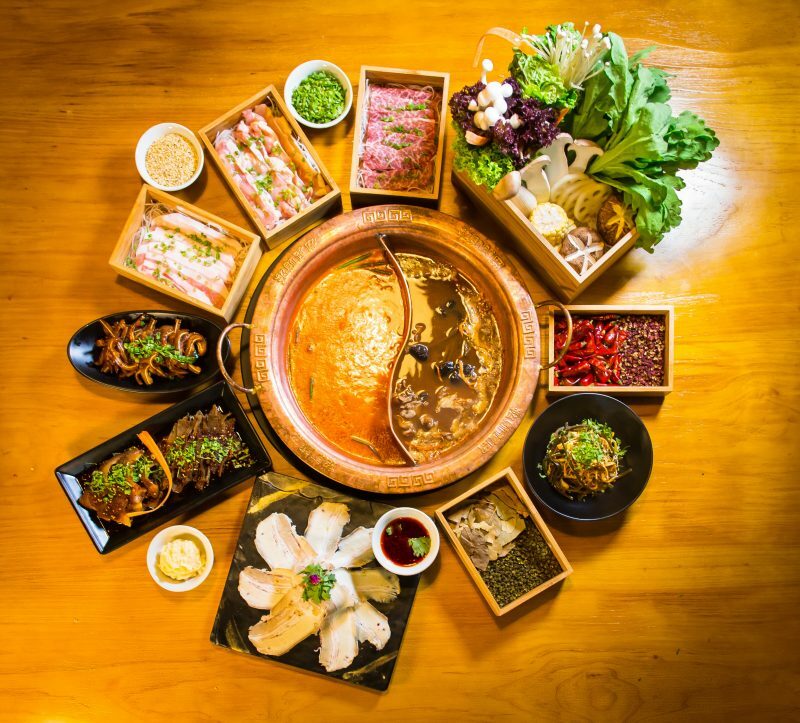 Famed for their rich, flavourful broth that has zero MSG and is derived solely from herbs, bones and other condiments, Long Qing Hotpot Restaurant at Hong Kong Street has a huge variety of fresh meat and seafood as well as a wide range of delicious side dishes to go alongside your meal. To whet your appetite while waiting for the soup to boil, order some ala carte dishes, such as fried fish skins (S$2.80), quail eggs (S$6.80), fish maw (S$8.80) and crispy bean curd skins (S$6.80). Definitely go for its Wild Mushroom Soup Base (S$17), which is made from tea tree, porcini and monkey head mushrooms in pork bone stock. This soup base was fragrant and flavourful, and a definite must-order. Take advantage of Eatigo’s time-based discounts at Long Qing and order its tender Lamb Shoulder (S$16), Spicy Garlic Pork Belly (S$10) and Spicy Braised Beef Tendon (S$15) if you’re in the mood for something spicy. Depending on the time of your reservation, you could be getting up to 50% off these amazing items. 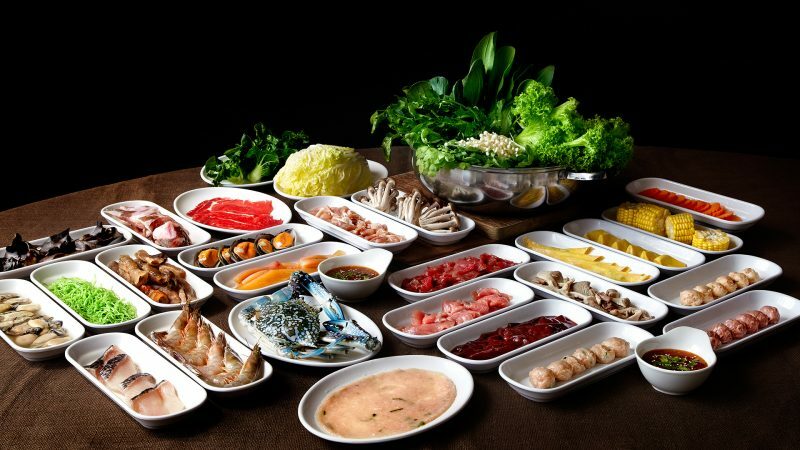 Korean cuisine lovers would absolutely fall in love with GoroGoro Steamboat & Korean Buffet. 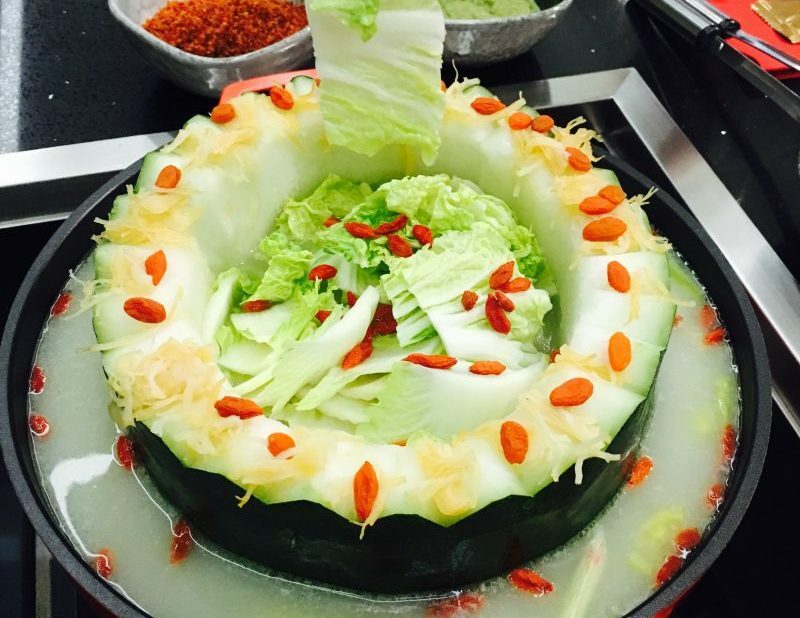 Located at Orchard Gateway, this steamboat buffet restaurant has a wide variety of fresh meat, seafood, vegetables, and Korean side dishes, which is more than enough to satisfy your hungry tummy. Choose from seven mouth-watering soup bases: bak kut teh, mala, tomato, collagen, ginseng chicken, tom yum and Korean seaweed. And the widespread meat and seafood options, such as pork collar, pork belly, prawns, squid and mussels. Depending on the time slot you choose, reserving through Eatigo gives you a 10% to 50% discount off the original price. Instead of paying S$26.90++ per adult for a dinner buffet on Mondays to Thursdays, you’ll be paying only S$13.45++. Can anybody say daebak already?! I’ve been to Coca Restaurant @ Ngee Ann City since I was a child, and my family has always loved its excellent service and fresh produce. With savoury items such as thinly sliced U.S. striploin and their house special shrimp paste, Coca Restaurant’s buffet prices are as low as S$28++ for lunch and can go up to S$46.80++ for dinner buffets on weekends, eves of public holidays and public holidays. When you reserve through Eatigo, discounts range from 10% to 50%. That means the lunch buffets will only cost you S$19.60++ while the dinner buffets on weekends, eves of public holidays and public holidays will cost you S$32.76++. What a steal! 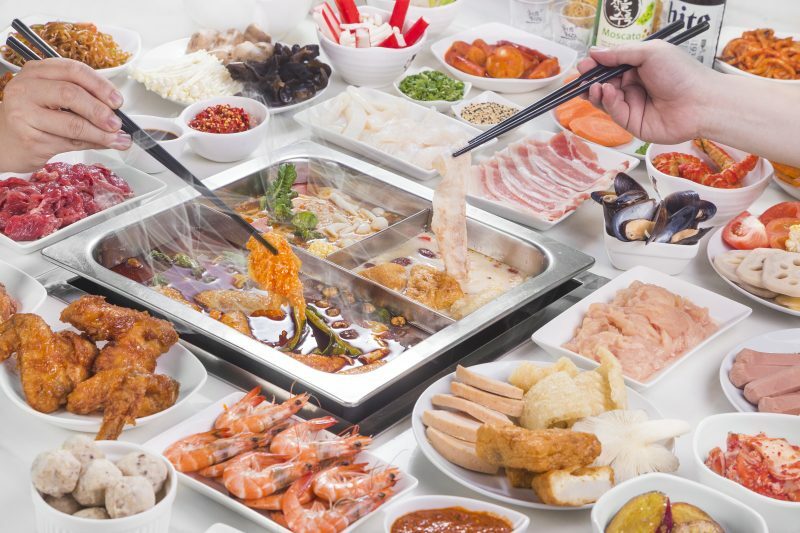 Fancy having a luxurious steamboat dinner buffet at the chic and contemporary M Hotel at Anson Road from as low as S$29? Its Seafood Steamboat Buffet Dinner (U.P. S$62 for Sun to Thurs, S$72 for Fri to Sat, eve of Public Holidays and Public Holidays) is the real star. Choice of soup base includes: chicken ginseng, spicy tom yum or its monthly special. Choose between its impressive spread of freshly sliced fish and other seafood, vegetables and lusciously soft meat. The highlight of the entire buffet has got to be their free-flow Drunken Prawns. Prepared at a live station, these fresh drunken prawns are cooked in a light herbal soup and finished with a drizzle of cognac. Believe it or not, reserving via Eatigo gives you up to 50% off on weekdays and weekends. That means you get to enjoy an all-you-can-eat meal for as low as S$29! If you’re looking for lunch options, M Hotel also offers an International Buffet Lunch (U.P. S$58), where you’ll get to choose amongst international and local flavours with monthly exclusive specials on offer. Dining at Hua Ting Steamboat @ Claymore Connect will leave you spoilt for choice. 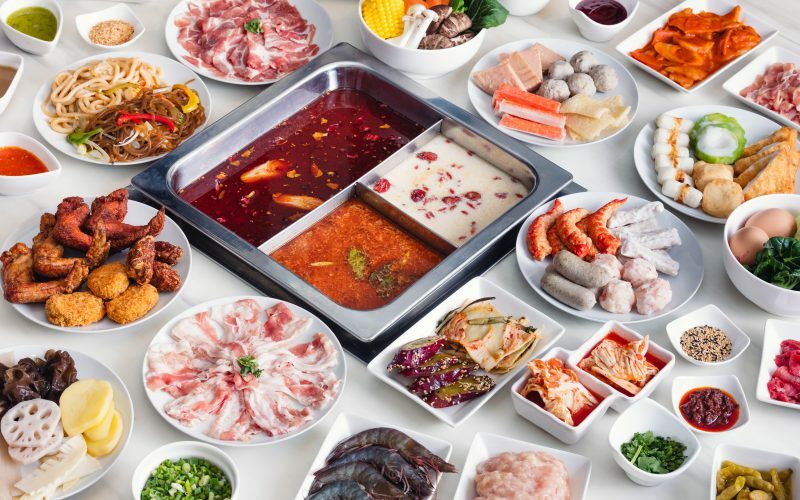 With over 15 types of steamboat bases and over 150 fresh ingredients to choose from, customising your pot to your satisfaction has never been this easy. If you’re a fan of traditional bases, go for nutritious soups, such as Sichuan Style Seaweed Soup with Bean Sprouts (S$22) or Superior Fish Soup with Winter Melon (S$34). However, if you’re in an adventurous mood, try its unique offerings, such as Sea Treasure Flambé or its Herbal Crocodile Soup. 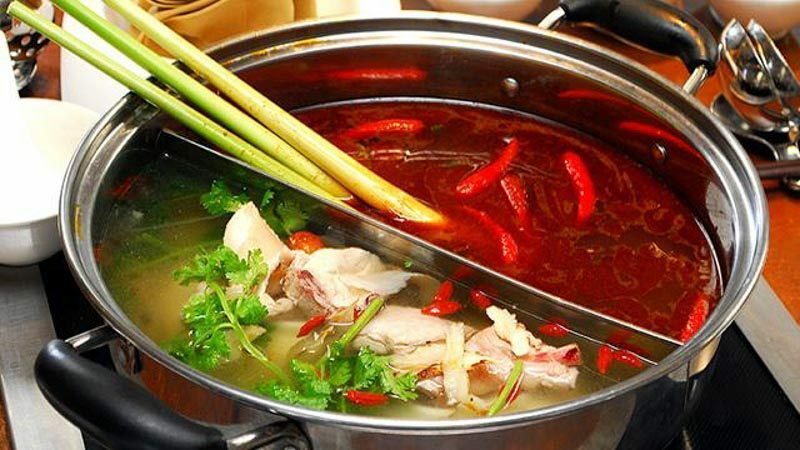 Slow-cooked for hours, the Herbal Crocodile Soup uses a ton of traditional Chinese herbs, including red dates, dang gui and dang shen, which makes it incredibly nutritious. For steamboat ingredients, be sure to try its tender Braised Beef Brisket with Tendon & Radish in Brown Sauce (S$28) and Thai Style Pan-Fried Squid Cakes with Crispy Sakura Shrimps (S$10). Plus, if you reserve through Eatigo, you’ll get to enjoy up to 50% discount on these premium items, this means paying only S$14.00 for Shark’s Bone Cartilage Soup with Fresh Bean Curd Sheets and many other tantalising dishes. I remember visiting Suki-Ya @ Marina Square frequently when I was a student as their promotions were endless, making it affordable and value for money. 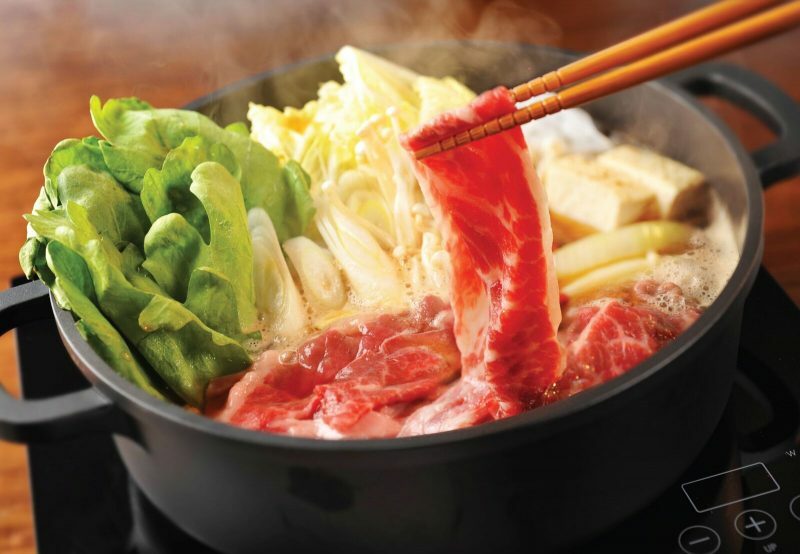 Staying true to its name, Suki-Ya offers an authentic Japanese sukiyaki and shabu shabu experience with its five flavourful soup bases: tonyu miso, shabu shabu, sukiyaki, pork-based butaniku, and spicy kimchi. My personal favourite pair of soup bases would be the sukiyaki and the kimchi — the traditionally savoury soy sauce soup base goes incredibly well with beef, while the kimchi soup is fantastic for rainy days and it satiates any spicy cravings. It was a huge plus as well that Suki-Ya’s buffets are stocked with fresh vegetables, thinly sliced succulent beef, chicken and pork, and you can order as much meat as you want within 80 minutes. Eatigo‘s offering up to 50% discount on regular-priced buffets, so instead of forking out S$18 – S$27 depending on whether you’re going for lunch or dinner, weekdays or weekends, you could be paying only S$9 – S$13.50. Whether you’re one for Japanese shabu shabu or the spicy kick of a satisfying mala hotpot, Eatigo‘s got you covered with its amazing dining offers. Not only will you get to reserve a spot at your time of preference, you’ll also be enjoying discounts of up to 50%! 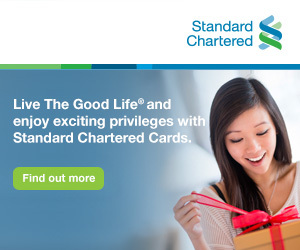 Don’t forget to key in the first six digits of your Standard Chartered Credit Card under ‘Promo Code’ while making your reservation, and pay with your Standard Chartered Credit Card at the end of the meal to enjoy the S$5 Eatigo Cash Voucher deduction. Check out their website and find out more about The Good Life®. *This post is brought to you in collaboration with Eatigo and Standard Chartered.